Home / County Politics, News, Politics / Referendum is unstoppable – FRANCIS ATWOLI tells WILLIAM RUTO – even UHURU is supporting it!! 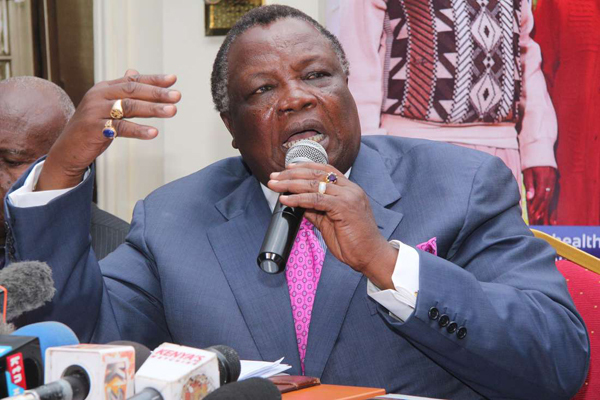 Referendum is unstoppable – FRANCIS ATWOLI tells WILLIAM RUTO – even UHURU is supporting it!! Thursday December 27, 2018 - Central Organization of Trade Union (COTU) Secretary General, Francis Atwoli, has said Deputy President William Ruto is alone in opposing the looming referendum. Speaking during the Maragoli Cultural Festival in Mbale on Wednesday, Atwoli said all Kenyans support the constitutional changes including President Uhuru Kenyatta and NASA leader, Raila Odinga. “We must change this Constitution to accommodate all the political big wigs after all, constitutions are made with people in mind,” Atwoli said. He said Ruto should resign because he is opposing a referendum that is supported by his boss, Uhuru Kenyatta. During his tour of Luo Nyanza early this month, Uhuru said the country requires a referendum to eliminate what he termed as “a winner takes it all” system of Government. Opening up for the first time about his political bromance with NASA leader, Raila Odinga, Uhuru said the current presidential system was excluding some communities from leadership.